Our debt payoff goal will begin to turn into real debt elimination at the moment we begin following a debt plan that includes a specific debt pay off schedule. Here we formalize our plan and get started doing the real work. And seeing real results. Do you even know how much you owe in credit card and other debt? You would be surprised at how many people do not. Before you can make out your pay debt off schedule, you have to know the facts. Make a list of all your debts. Don’t leave anything out. It is important that your debt elimination program is complete. Include all your credit card accounts. Include loans from family members or anyone else you may need to repay for any amount you have borrowed. Include any loans against your insurance policies or retirement funds. For each one you need to know several pieces of information. Obviously you need to know the identity of the lender and the total owed. You also need to know the required monthly payments. It is also important to know the rate of interest being paid. Next you want to organize your debts in some orderly way. If you can use a computer spreadsheet this is a good opportunity to make use of your skills in that area. If you cannot do that just make a chart by hand on a sheet of paper. For each item write across the page (or in spreadsheet columns) each of the key pieces of information: who you owe the money to, payment date, payment amounts, outstanding balance, interest rate, and comments about any special conditions. If you have very many credit card obligations you may want to make a spreadsheet for those separately. To be effective, your debt elimination program must have a complete list of debts organized in a way that not only shows the complete overall picture but makes it easy to compare items one to the other. It has been said that rules are made to be broken. While there is a valid point there, these guidelines should be broken only for good reason. They can each add a powerful dynamic to the overall process. Begin your debt pay off plan by continuing to pay only what you are already paying now. Add up the total you are required to pay on your debts this month. Let that be the amount you will pay next month, and the next. If the total is $1,545.00 this month (house, car, credit cards…) then that is the same amount you will pay next month, too. Your credit card lenders will ask for less next month. But you will not pay less to any one of them unless you apply it to another debt instead. You will always see that you pay a total of $1,545.00 each month. It should be easy. After all you are not paying one penny more to get out of debt now than you were already paying to stay in debt! There are two great benefits to following this approach. 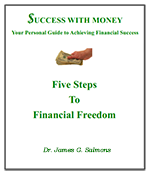 First it will help you to maintain your commitment to becoming debt free. Remind yourself that it should be easy. After all you are not paying one penny more to get out of debt now than you were already paying to stay in debt, right? And second, it allows you to focus on a variety of changes you are making in other areas in order to adjust to your new management approaches. You are learning to live on perhaps $10.00-15.00-25.00 less each month in order to avoid over spending. You are learning how to stay in control of your spending. Avoid creating additional credit card debt. Or any other kind of debt. This is absolutely critical. Give this concern your special attention. If you are using credit cards for day to day purchases some specific planning is called for in order to avoid conflicts with your debt elimination program. A good plan is to set aside one credit card that is paid off every month and use that for ongoing purchases. If you cannot use a card that is already paid off, use another but always add any new charges to your scheduled payoff and pay that amount. Needless to say, the new charges amount is not part of the monthly debt payoff ($1,545.00 in our example). Credit cards are dangerous and many, perhaps most people should not use them at all. A debit card is better. I use a credit card for gasoline and get a 5% rebate each month, a significant amount each month. But this is a planned part of my monthly expenses and it is paid off each month. The biggest trial will come when you first want to buy something that goes beyond the monthly spending budget. Will you give in and violate the new rules? Or will you muster up the courage to do the right thing? Hopefully you will do the right thing. But that doesn’t always mean just not buying. In fact, one of the best things you can do is to save up some money for a few months and buy. In fact it is a good idea to save in anticipation of a needed purchase. As long as you are paying your basic amount every month and incurring no more debt you are guaranteed success. Anytime you buy something you could say that it delays your getting out of debt just that much. But as long as you are paying your basic amount every month and incurring no more debt you are guaranteed success. Learning to save for purchases makes life more pleasant and guarantees that once you get out of debt you can stay that way. When the right time comes, start increasing the amount you are paying each month in your debt elimination schedule. But only when the right time comes. When is the time right? When you have the money to spare. There is a lot of room for opinion on this, but the fundamental truth is fixed. If you feel deprived or cheated somehow you will find it difficult to stick with your debt pay off program. But if you can find extra money you can certainly speed up the process and feel good about it. There are many ways to find new funds for your debt payoff. One way is to reduce expenses. Say you find that you can switch auto insurance companies and save $30.00 a month. Or you get a salary increase of $200.00 each month. One good recommendation I picked up some years ago was to apply at least half of any increase in income to pay off debts. Then, after debts were eliminated, to apply that half of any increase to retirement funds. That’s always seemed like a good plan to me. You move things ahead financially for your future. You also get to share in the benefits of your achievements in the present. A win, win. Minor adjustments in your plan can sometimes produce major benefits. If you read a lot you will find some strong opinions on some of these. I have my own suggestions but I will try to indicate the options so you can make your own decision as to what is best for you. There are a variety of ideas about which debts you should pay off first. At the beginning you don’t have many options. But as minimum payments are reduced, as some are paid off completely, or as new money is found to add to the total being paid each month, there are choices. Based on the numbers, the answer is easy. Pay all you can on the one with the highest interest rate and/or finance charges. In fact, this should always be given a high priority in your decision making. But there are other factors as well. Many people (including one of my favorites, Dave Ramsey) feel that the top debt payoff priority should be given to the smallest debt. This has strong advantages. Many people (including my favorite, Dave Ramsey) feel that the top debt payoff priority should be given to the smallest debt. This has strong advantages. First, there is the psychological boost you get from seeing the debts falling one by one. Every time one can be checked off the list you will gain added enthusiasm. In addition, you gain added flexibility from eliminating any given account. There is one more payment less for you to make. This is particularly true for fixed payment loans such as those for automobiles or furniture. Here is my take on it—what worked for me. I always gave priority to the highest interest rate unless there was a clear reason not to do so. But even so, there were times when I paid off a low interest rate loan when it got down to a few hundred dollars just to get it out of the way. I know a case now where an individual has five credit card obligations and one fixed loan. The total of the credit card balances are approximately equal to the fixed loan. But the required payment on the loan which has been mostly paid off now equals five times the total required for the cards. What would your choice be? You can pay off the cards quicker. But even though I might be a little longer seeing another debt checked off the list, I would rather be out from under the obligation of having the high required payments on the loan (an eighty percent drop in monthly obligations). So what is best? Do what gives you the most motivation to push ahead. Now is the time to go to work on your own numbers. Get the facts. Organize your information. Then lay out your debt elimination program. Most important, be prepared for the long haul. Your debt plan pay off schedule is not a one time, one day job. It takes time. But if you stay with your debt plan it will work. And the results are well worth the effort. In our next article, Debt and Your Overall Financial Plan, I will discuss how all of this fits into your overall financial plan.